Beaulieu Treehouses are a unique and spectacular venue for corporate events, weddings and other gatehrings. 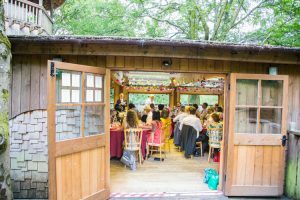 The venue is unique, nestled in Treehouses in private woodland, and beautiful in every season. The Treehouses present a wonderful backdrop against which your imagination can run riot. Every couple brings their own unique interpretation to their special day, from Retro to Classic Country to Robin Hood!